Is social media right for my business? This is a question that we get asked fairly often and the answer is always the same. Regardless what industry your business is in or the size of your business, the answer is yes! All businesses create value, you are in trouble if your business does not, so use social media to explain the value of your business. Chances are you also have more knowledge about your industry then your customers, so social media is a great place to share this knowledge with them. 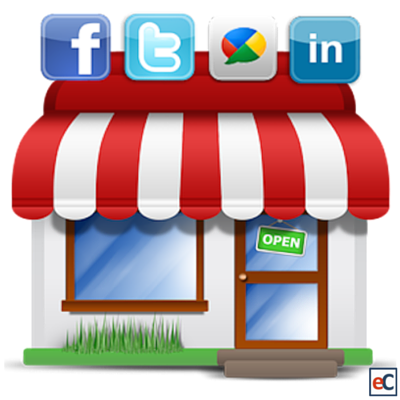 Like other forms of marketing, social media marketing requires a well thought out strategy. Before diving into social media, start by deciding what your goals are and how you can reach them. Not all social media sites will be a perfect fit for your business, so lets take a look at the benefits of some of the most popular social networks. Facebook is a must for all businesses. With over 1.3 billion active users, Facebook is by far the largest social network. If your business is only going to use one social network, start with Facebook. What are the benefits of Facebook for businesses? Customers now use Facebook as a virtual customer service desk, so it is important that your business has a presence and is ready to answer questions/complaints. Posting requirement for Facebook are relatively low, 1-2 posts per day, so the required content creation is low. Twitter is a high volume social network, requiring 5+ posts per day, which makes it difficult for some businesses to handle. Much like Facebook, Twitter has become a go to place for customer service. Instagram is often overlooked by businesses, but it is one of the best networks for social media beginners. The simplicity of Instagram makes managing it less overwhelming. 1. Instagram uses images and short videos, which simplifies your options considerably. 2. Another great thing about Instagram is the ease of sharing content to other social networks. When creating an Instagram post, you can send the content to your Facebook, Twitter, etc. with one click. 3. Images are popular on all social networks, so syncing posts to other networks is very effective. 4. The frequency of posting required for Instagram is also very favorable for businesses that are short on time, 1 post per day at most. With the highest concentration of business professionals, LinkedIn provides a unique platform for businesses. LinkedIn provides a great place to promote your business and find new employees, partners, vendors, etc. 3. Exposure for your business through your employees’ personal pages: Encourage your employees to create personal LinkedIn profiles and add your business as their employer. Their entire network will now see your business whenever they view their profile! They say an image is worth a thousand words. A great YouTube video might as well be worth a million words then. With this in mind, it is hard to deny the potential benefits of YouTube for your business. What are the benefits of using Youtube? Final Thought: Your customers are going to be talking about your business on social media regardless if you have a presence or not. Don’t you want to be able to join the conversation?